Any time metals are an environmental contaminant of concern, the predictable approach is to look at the total metals concentrations and determine a path forward. Whether it be determining risk due to toxicity, selecting a remediation plan, or establishing a regulatory permit limit, the decisions that are made assuming that all molecular forms of a metal have the same physical and chemical properties can have a number of dire consequences. Elemental speciation should be the first choice to avoid such erroneous and potentially costly assumptions from being made. There are many methods for the speciation of metal in solid matrices, but often times the most informative and cost-effective approach is to use selective sequential extractions. Selective sequential extractions (SSE) have a number of useful applications for nearly any industry trying to understand the nature of the metals that are present in environmental samples and to predict or model how they might move through the environment (mobility), be metabolized by surrounding organisms (bioavailability), and bioaccumulate or biomagnify up the food chain. 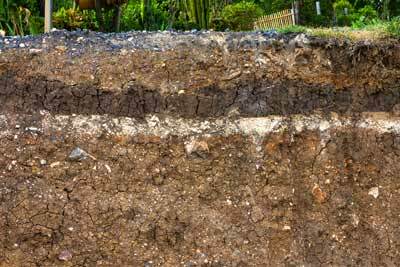 The basic premise of SSE is that a representative solid sample (soil, sediment, tissue, etc.) undergoes an initial extraction which is typically representative of what might be easily transported or dissociated from the solid matrix. This is the “mobile” fraction. Depending on the element, there may be species-specific information that can be elucidated from this fraction, as well as from subsequent fractions. Next, this same sample aliquot is extracted with a second solution that generally represents something that is more strongly bound than the first fraction but still relatively available to the surrounding environment depending on site conditions. Each subsequent extraction uses a “stronger” reagent solution, leading to the final extraction which is generally the residual fraction and represents strongly-bound and generally immobile metal complexes in the solid phase. It is very important to note is that if subsurface samples or any other type of sample that is in relatively anoxic or from reducing conditions are collected, the use of anoxic sample collection techniques and notification of the laboratory that glove boxes must be used to maintain anoxic conditions may be required. Otherwise, sample results will not be representative of site conditions. There are limitations of SSE that are important for anyone requesting these methods to be aware of. The first is that “one size does not fit all.” The SSE methods that exist in the literature and in published methods are intended for a very specific element or set of elements. When any of these SSE methods are applied to elements they were not intended for or have not been studied in detail, decisions based on this data may be questionable. BAL can provide guidance with the selection of the most appropriate method(s). The second is that these are operationally-defined methods, which means that the results for each fraction are defined as what was extractable by that reagent solution for that particular solid sample. This can be different for each set of samples. The information that is present in the literature or method regarding what types of species are expected to be extracted in each fraction can vary somewhat, so that a particular species may be present in a previous sequential extraction or may come out in a later extraction. The strength of these methods is to provide a strong indication of which metals are highly mobile, which are bioavailable, and which are not. Brooks Applied Labs currently has selective sequential extraction procedures for the fractionation of Al, Cr, Mn, Fe, Co, Ni, Cu, Zn, As, Se, Hg, Pb, Mo, Cd, and Tl.